Posted on February 8, 2019. With Valentine's Day right around the corner heart shaped everything will soon cover the walls of every store across the country. Heart shaped objects will be shoved in your face from every direction in the form of various objects, including, but certainly not limited to, heart shaped balloons, heart shaped cakes, heart shaped chocolates, heart shaped gift bags, heart shaped jewelry and so many more! It might just be time to start a new trend this year, and hand out temporary tattoos as a way of spreading love to all you come in contact with. Change it up this Valentine’s Day by giving TattooFun.com’s heart shaped temporary tattoos in all sorts of ways to mix things up. 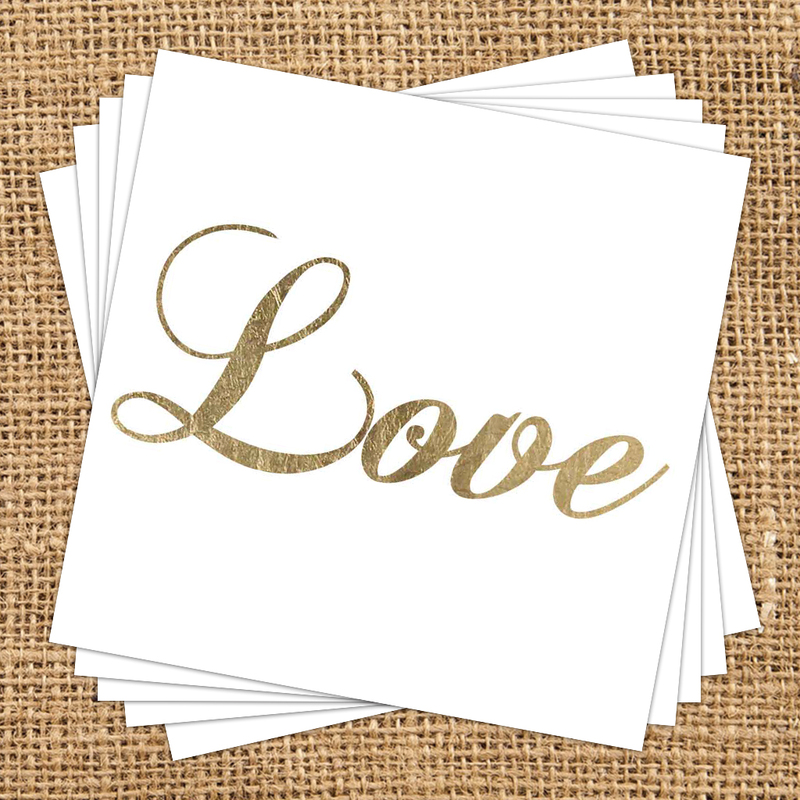 Don’t know how to use temporary tattoos as a way to spread Valentine’s love and happiness? Don’t worry, TattooFun.com has you covered regarding all the ways to have an enjoyable Valentines Day this year. 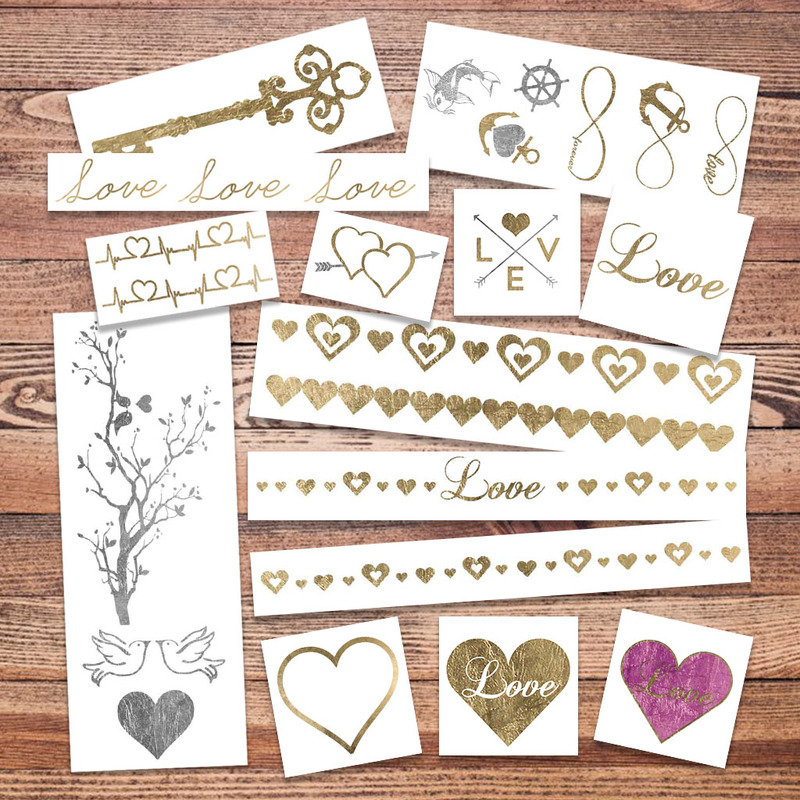 One creative way to spread love to others this Valentine's Day is by purchasing a variety of heart temporary tattoos to keep in your pocket. When you see someone on the street who might be in need of a random act of service, give them a temporary tattoo with a hand-written note to brighten their day and lift their spirits. You never know how a simple act of kindness such as this can help someone have a better day. You may also consider giving them a second heart tattoo and tell them to pass the happiness along by giving the second one to someone else. This one act of kindness really could start a chain reaction of people continuously doing nice things for each other. This altruistic act could change someone else’s life. All of that goodness just from one temporary tattoo, if that’s not intrinsically satisfying then I don’t know what is. Remember the time when stick-on tattoos were prizes in kids’ bubble gums? Why not bring them back for Valentine’ Day? 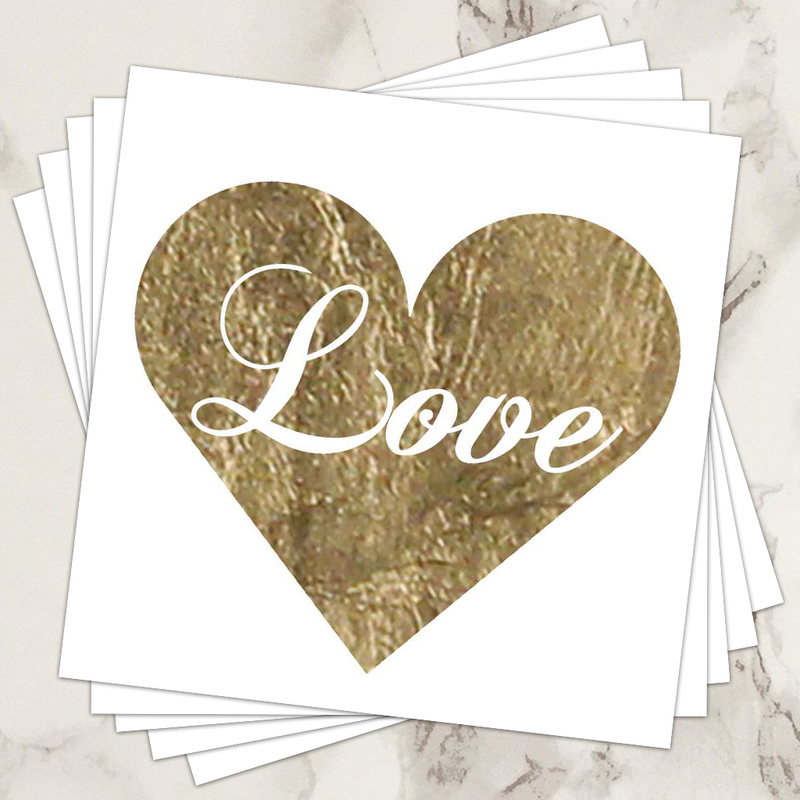 If you are in the education field or have children in need of Valentine’s you can also print custom temporary tattoos to hand out as Valentines. 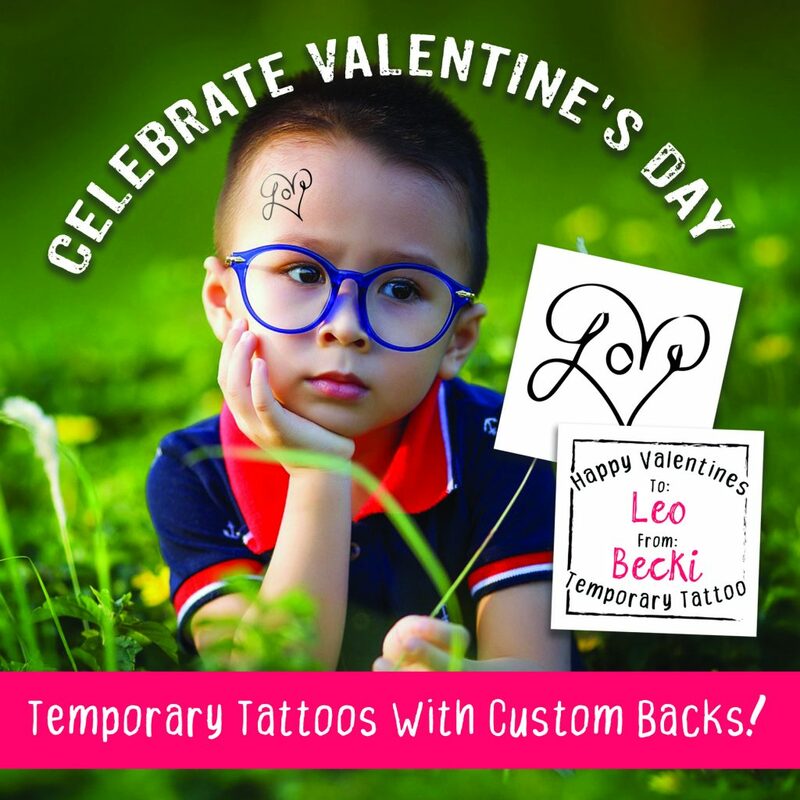 We are able to make custom temporary tattoos with a custom back for Valentines. We are able to make custom temporary tattoos to suit your child’s favorite cartoon, book character or super heroes. You can also use any of TattooFun.com’s Valentines temporary tattoos to decorate classroom windows. What if you’re single on Valentine’s Day and don’t have a date for the evening? You could always choose to wear all black with dark makeup, and also have a down and dreary look on your face. That however, doesn’t sound like any fun at all. Instead, embrace your singleness and purchase an Add-a-Name temporary tattoo with your own name on it. 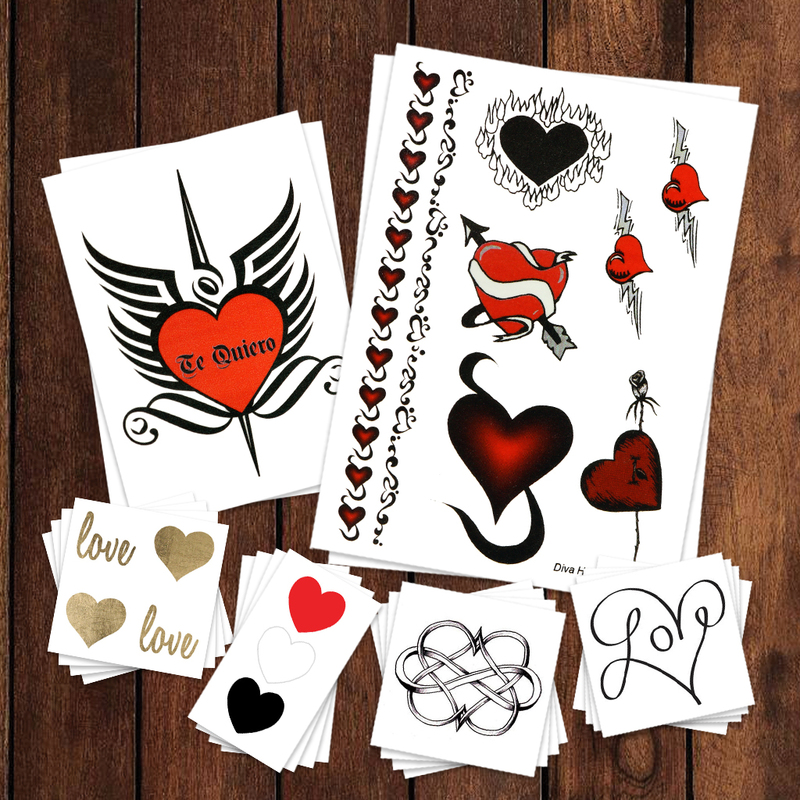 Above all, show yourself some love with temporary tattoos and buy yourself any of our packs of Valentines Day Tattoos. TattoFun.com’s customization option is a great idea for couples. 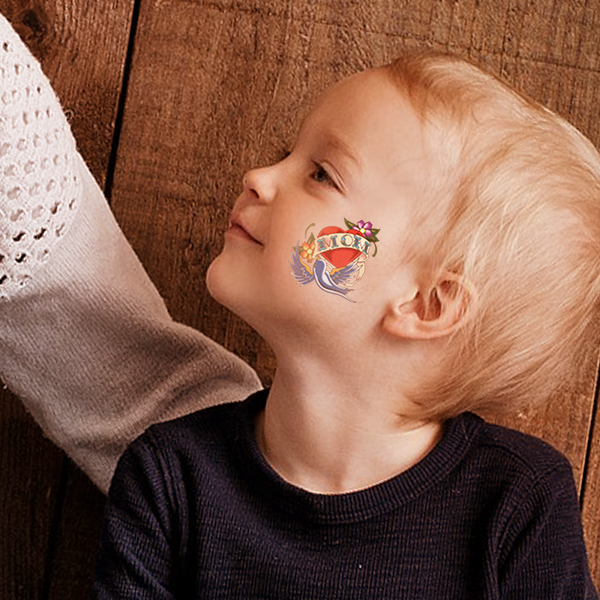 Get a customized add-a-name temporary tattoo with you and your significant others name on it. How romantic would it be for your significant other to comes home to find you making a Valentine’s Dinner? Imagine the additional romance when they a heart tattoo with their name on your shoulder? It's a nice gesture and most of all, a great way to show your love in a creative way! 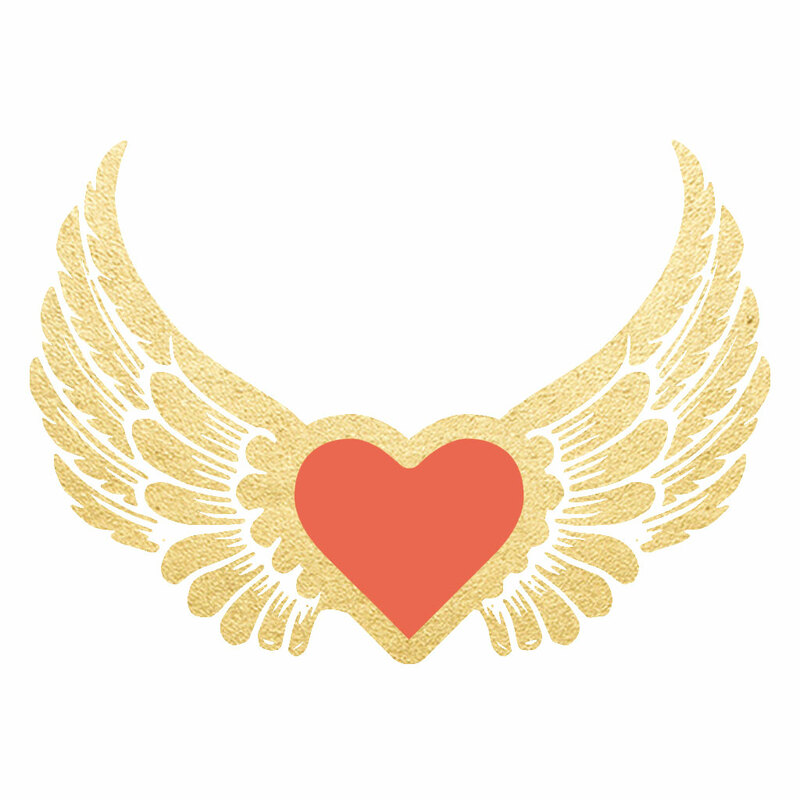 You can also purchase any of TattooFun.com’s heart temporary tattoos to give as a gift. Every mom wants to feel love and appreciation. Don't forget your mom this Valentines Day, and wear a Mom Heart Temporary Tattoo. Above all, she will love and adore the effort, and you will score brownie points. Love your mom, and show it on your skin. All of these Valentines Day temporary tattoos are easy to apply, and only require a little water! Simply put the temporary tattoo against your skin and apply a damp cloth to the backing for 30 seconds. The best part of our tattoos is that they stay on for days. However, you can remove them anytime with rubbing alcohol or hand sanitizer. (A special formula of temporary tattoo remover is also available). We’ve been in the Temporary Tattoo business for over 20 years. Thus, we know a thing or two about temporary tattoos. We ship millions of temporary tattoo sheets all over the globe each month. Furthermore, we make all of our temporary tattoos in the good old USA. We make all of our temporary tattoos with FDA safe materials. We offer the best quality temporary tattoos, everyday low prices, excellent customer service, and your satisfaction is guaranteed! Share! Like! Spread the word!